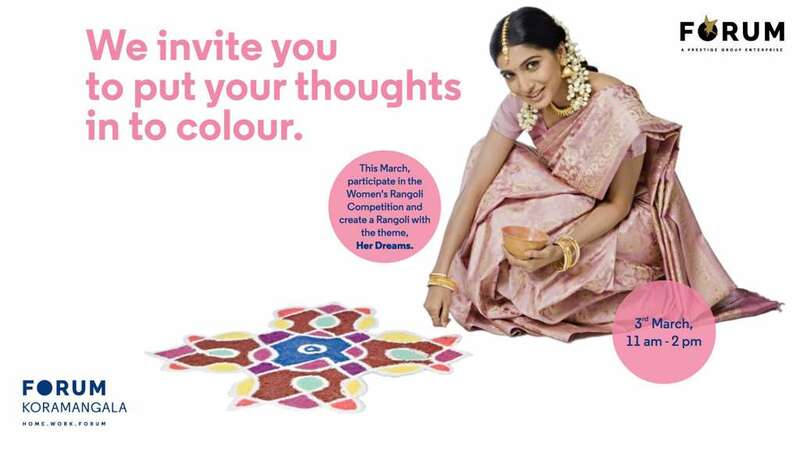 The Forum Mall Koramangala gives all the women the platform to put forward their dreams with Rangoli! The Women's Day Rangoli Competition at Forum Mall, Koramangala, Bengaluru. Register for ₹250 and stand the chance to win!